The fourth edition of Artistique, a travelling exhibition, which had started its journey in Kolkata opened its doors in Mumbai on 28th September. The exhibition, which was held at Piramal Gallery, NCPA saw around 200 people attending just on the opening day. Asian photography magazine started Artistique in 2013 with an aim to promote photography as an art form, and since then, Artistique has been getting bigger and better. Photographers, both Indian and international, have been exhibiting since the past years. Names like Arko Datta, Martin Prihoda, Sudhir Shivaram, Sarker Protick and many more have been a part of the exhibition. 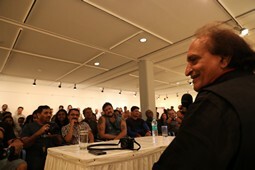 This year’s Artistique featured the legendary Mr. Raghu Rai as the exhibiting photographer, who himself was present for an informal interactive session with the visitors. Wedding photography is one of the largest photography genres employing thousands of people in every country every year. The cash flow for the wedding photography industry is substantially more than other photography genres. Then why do wedding photographers complain that their trade or skill is not as appreciated by the industry? Let’s break down the theory and find out. From studying architecture, to becoming a professional architect, Samo Rovan is a destination wedding photographer. Being an ex-photojournalist, Rovan is a documentary storyteller, when it comes to shooting weddings. His work is reflective of his fun and direct, yet emotional and sincere approach. This month we speak to the Slovenian photographer, and take a journey through his beautiful wedding stories. After dabbling in photography in college as a biotechnology student, he knew his calling was in the arts. He experimented with film, and then went on to study film production in Australia. After he shot his friend’s wedding, it was no looking back for him. His journey as a wedding photographer began, and today he has become one of the most sought after wedding photographers in the country. 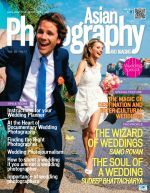 We talk to Sudeep Bhattacharya this month, to find out about his distinctive narrative style, the changing wedding photography scene, and his focus on creating stories that last a lifetime. If you’re a photographer and happen to take good images every time you fire your shutter, sooner or later someone might approach you to capture their wedding. While this is a job often best left to professionals who shoot weddings for a living, you can up your chances of success with a bit of preparation and planning. Shooting a wedding alone can be a difficult task, but if you are a one man team or are just casually taking pictures of your friend's wedding, some basic level of preparation along with the right approach will help you in the execution of your shoot. A wedding is a special day for many people. It's not just two people beginning a new life together but also rotates around that person who is making all the efforts to preserve the memories of the special day. If you are not a person who is familiar with shooting weddings, it can be rather intimidating for the photographer to deliver the quality he/she is known to produce. All the results of your preparation will take you a long way in making the day memorable for you as well. This time we shall discuss about how to shoot a wedding when you are not a wedding shooter. A wedding is a once in a lifetime event and every person dreams of a beautiful and perfect wedding, but in order to have that perfect wedding a lot of people need to put in a lot of hard work. Photography is an important part of the wedding as the photographs are what stay back as memories. But there is only so much a photographer can do on his own. For a photographer to be able to achieve results and to work to his highest potential he needs a few other people’s help. We will discuss how a client can help the photographer achieve the best results in this article. 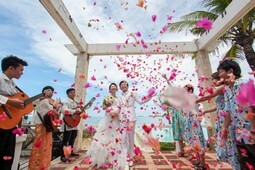 Destination weddings and inter-cultural weddings are quite different from your everyday weddings. To shoot such a wedding requires additional research, planning, and the zest to make the most of this unique opportunity. This month we spoke to husband and wife photographer's team, Samuel and Virginie Wiss from SV Photograph. Based in a small paradise named Moorea, in the middle of Pacific Ocean, the sister of Tahiti in French Polynesia, the duo captures many destination weddings on this island, of couples from different places around the world. 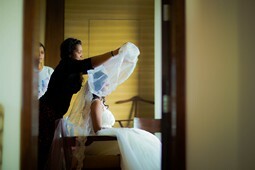 They dicuss the different aspects, specialities and challenges of shooting these weddings. 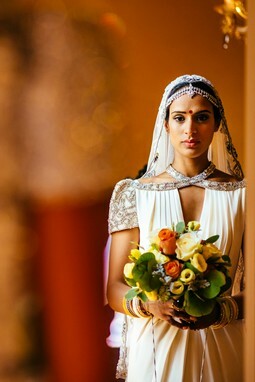 Wedding photographer Niklesh Malkani talks about documentary wedding photography and its nuances. Havin started shooting about 15 years ago, Malkani is renowned for the up close and personal wedding images that he strives for. He pays close attention to colour, form and light, which complement the expressiveness of his subjects.